The English Only Education Debate! Today, every American public school is integrated with more and more students that do not speak English. I believe that schools should teach our children how to speak other languages; but I also believe that students need to enter our schools able to speak and understand English. Why? Because Americans speak English. Students that do not speak English should learn English in Pre-School or Day Care before they enter Primary and Secondary schools. There should be special classes or schools for English learners in communities where the number of non-English speaking students make up more than 3% of class. I speak of this in concern of the teacher and the classroom that suffers when the teaching time is consumed with helping a non-English student understand what’s going on in the classroom. Students where English is a second language requires too much attention and lots more resources to learn English than student’s whose primary language entering school is English. Therefore, the English only education debate is sensitive, controversial, and political because of the debate held about classroom size, English Only, and the cost to manage both. Is this a problem for our teachers? Have we taken on more than we can educate? How does this impact our schools? Our communities? Our workforce? How much does this cost American tax-payers? Should our schools take in non-English speaking students and teach them to speak English? Or, should we teach English to any child that do not speak English at the time they register to attend our schools; even if the non-English student enrolls at the 10th grade? Note: nothing on this debate is about whether our schools should teach another language; it is clearly whether our schools should teach a non-English student how to speak English and should that child be integrated in a majority English speaking class before he or she is fully able to speak and understand English; The English only education debate. WTFH – Teacher facilitator of learning? Before we jump into this discussion, we need to make clear the meaning of words teacher and facilitator. It is very important to this discussion because while some of you believe the two words mean the same; they are not. The difference in the two words determines thee learning outcomes in our public schools today. 1. 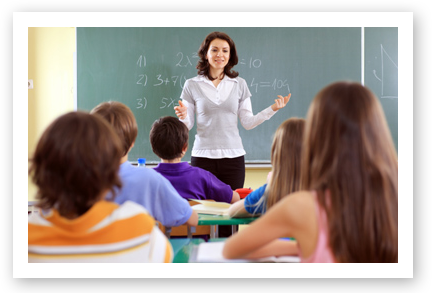 The definition of Teacher: Origin 1200 AD (teacher) – A person’s whose occupation is educating/teaching others. A person whose occupation is to instruct. What are the differences between teachers from 1965 – 1999 and teachers between 2000 and 2015? Teachers or facilitators? State controlled Unit of instruction or is the teacher allowed to set the syllabus? Can the teacher select the curriculum and teach what she wants to teach or is it mandatory for the teacher to teach to the state curriculum? Do you know if your child’s teacher is able to write and implement his/her own syllabus for a curriculum he/she determines is best for his/her class? Or, is your child’s teacher required to facilitate units of learning according to a syllabus and curriculum approved and given to him/her by the State Education Agency? When you understand this process, you will understand your child’s frustration in learning. You will understand your child’s teacher’s frustration with the process. You will understand why you have been confused with those strange feelings you’ve had that something is amidst at your child’s school. Remember this…your child does not have a point of reference. What was English or Language Arts is not being taught the same as it was taught when you were in school in the 70’s. WTFH – All children can learn; can they? All Children can learn; can they? Is every child receiving a proficient education in our schools? What does basic mean? What does proficient mean? what does advanced mean? How many levels or proficiencies are being tracked by the assessments? What is a state sponsored curriculum? What is a unit of instruction? Letter grades or grouped percentages? The government that funds your education system believes that all children can learn. When you read that phrase, what do you think it means? Twenty-five students in the classroom with one teacher. Four students are learning disabled, one student has been assessed with a proficiency level of 4.5, ten students read on a basic level, three students speaks Spanish, one speaks Korean, one student has Autism, two students cannot speak at all, and three students have repeated the same grade once and just transferred into this class; one from across town, one from out of state, and one from another county. The teacher is paid based on her ability to reach a certain performance outcome for the school year. It is the second semester and assessments are 90-days away. All children can learn? Really? How does she manage this class? How does she get everyone on the same reading level so that they all reach proficiency on the State Assessment? What if she is required to reach 75% proficiency? Given the number of students and each having their own issues – not including hunger, health, hygiene, or abuse, etc…in this scenario, if you were this teacher under these strict mandates, what would you do? By the way, this scenario is average for most urban schools. The federal mandate is that all schools reach this goal – see President Obama’s education plan named: “Race to the Top”. Let’s talk about the outcome of integration of schools in America. Did we go from integration to simulation? Did we go from neighborhood schools to indoctrination factories or workforce development centers? What are the real education goals for America’s public schools? What did integration do for our culture? Why are school districts still busing students? My father was totally against desegregating or integrating schools. I remember going to a school board hearing with my father. I don’t remember what the meetings were about. I remember going through crowds of people with signs and horns and everybody was angry. He fussed at those people like crazy. Later after I was grown and had children myself, I remember complaining to my father about my child’s school was busing them so far away that by the time I got off work, I could not make it to a parent meeting to see how my child was doing in school or to meet my child’s teacher. I told my father, dad you were at my school all the time. I remember you yelling at meetings and making phone calls. Did desegregation work? Or did America create a busing industry?